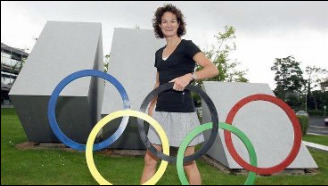 Former World Champion and Olympian, Sonia O'Sullivan is one of the country's most successful athletes and undoubtedly one of the greatest Irish sports people ever. The Olympic Silver Medal capped a string of successes by Sonia which, included Three World Championship Gold Medals,Three European Championship Gold Medals, Four World Records and Sonia still holds the World record over 2000m along with every Irish record in the books in distances ranging from 1000m to half marathon. She was the Chef de Mission for Team Ireland at the London 2012 Olympic Games. Since retirement, Sonia was a familiar face on RTÉ television, throughout the Beijing Olympics in 2008. Also in 2008, Sonia filmed a documentary entitled Sonia’s Last Lap which gave an insight into the mind of a Champion coming towards the end of her career. Since then she has been regular contributor to RTÉ Sport analysing European and World Championship Athletic Events. Sonia has authored two books to date. Her first book was called Running to Stand Still and her second book was a frank autobiography, Sonia, My Story. In this book, Sonia takes us behind the scenes of international athletics and behind the mask of a brilliant, vulnerable sportswoman. Sonia has taken part in a number of marathon challenges in her support of Irish Guide Dogs and Leukemia Research Foundation, most recently competing with an Irish Team running, cycling, sailing and rowing over 1000 miles in aid of Sport Relief. Even though retired from Olympic competition, Sonia continues to enjoy running and loves to share her wealth of knowledge with young athletes starting out in their careers and hoping to follow in Sonia’s footsteps. Sonia lives in Melbourne, Australia with her daughters Ciara and Sophie. Ireland will always be home to Sonia and she has spent a lot of time commuting from Australia. Some of Sonia's proudest achievements include: Four time Irish Olympian, Barcelona 1992, fourth place 3000m, Atlanta 1996, 5000m finalist, Sydney 2000, Silver Medalist 5000m, Athens 2004, 5000m finalist, current World record holder over 2000m, 5:25.36, Edinburgh 1994, three times World Champion, 1995, 5000m, 1998 World Cross Country long & short course, three times European Champion, 1994, 3000m, 1998 5000m & 10,000m, Twelve times All-Ireland Champion, currently holds ten Irish records in every distance from 1000m to half marathon, Dublin City Marathon Winner 2000. Sonia writes a regular column in the Irish Times. Sonia uses this column to write about different topics related to sport such as stepping outside of your comfort zone, her sporting heroes and giving an insight into the mind of a marathon runner.